In this "psychological mind bender," a Kafkaesque crisis of identity transports a famous actor from 1980s Hollywood to Nazi Germany (The Washington Post). At forty-five, Hollywood film star David Caspian should be basking in his success. Instead, his career is souring as he stresses over the next generation of actors eager to replace him. Losing himself in waking fantasies, David slips through a crack in time, awakening in the back alleys of Hitler's Berlin. He is no longer David Caspian. He has become Felix, a ruthless black marketeer. With the Gestapo closing in on him, David races against time—and space—as he fights to take control of Felix before Felix takes control of him. 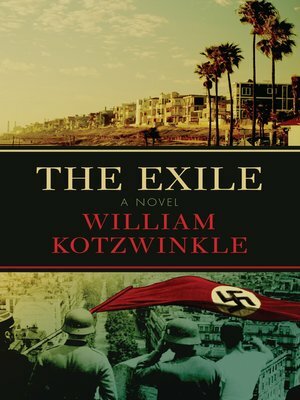 Witty, macabre, and utterly thrilling, The Exile is a mesmerizing novel that will leave readers wondering where reality ends and fiction begins. People wrote that when William Kotzwinkle "is the author, readers can be sure only that the book in question will be different from everything else." But even among the award-winning author's work, this bracing satire stands out for the sweep of its vision, full of "comedy, despair, horror and technical storytelling delight" (The New York Times Book Review).